Training will be for 1 hour on Sunday mornings at either 9am or 10am at the Toronto Scottish Armoury (70 Birmingham Street, in south Etobicoke). 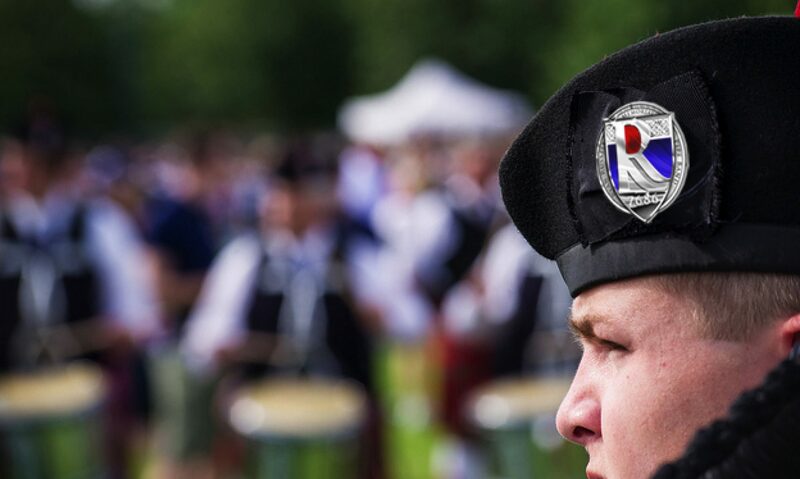 All training takes place at the Toronto Scottish Armoury at 70 Birmingham Street (in south Etobicoke). Parents may listen quietly from a distance during the first lesson, however in general we ask that they not attend the lessons. There will be a comfortable separate room available for parents during the lesson time. Note that there is no training on December 23, December 30, March 10, March 17, April 21. The last session will be held on June 16th. Note also that some training sessions may need to be cancelled due to inclement weather. We will make the determination by 8pm the day before if the classes are to be cancelled, and will notify students by email and through the Ryan Russell Memorial Pipe Band Facebook page. From the Gardiner Expressway, take the Islington St. exit. Go south on Islington to Birmingham Street. Turn left on Birmingham Street, and the Armoury will be on the left. Take the subway line 2 (Bloor) to Islington Station.